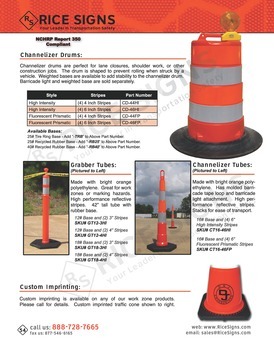 Traffic cones are molded from high quality fluorescent PVC. Cleats are molded into base for extra ground traction. Reflective cones are required for nigh-time work. 18" Cones for off-road use only. 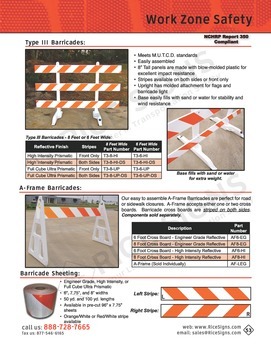 28" and 36" Cones are M.U.T.C.D. Compliant. 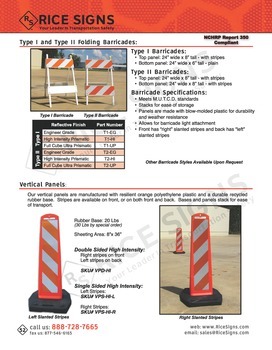 Our traffic cones are designed so that the base resists separation from the cone. 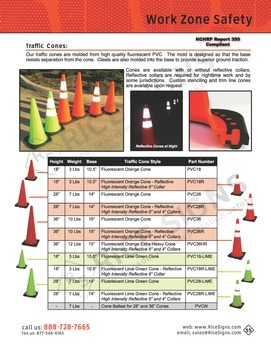 Cones are available with or without reflective collars. Reflective collars are required for nighttime work and by some jurisdictions. Custom stenciling and trim line cones are available upon request.